Dr Bailey is the author of the hugely successful 8-week Blood Sugar Diet Recipe Book, which has SOLD A MASSIVE 150,000 COPIES on the back of Dr Mosley's 8-week Blood Sugar Diet. This is THE DEFINITIVE RECIPE BOOK on the newest frontier in science and health. 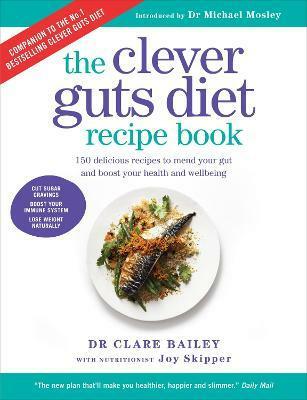 Dr Clare Bailey, wife of Michael Mosley, is a GP who has pioneered the Blood Sugar Diet approach at her own surgery in Kent, and is the author of the hugely successful 8-week Blood Sugar Diet Recipe Book. She has four children. Joy Skipper is a qualified nutritionist who has worked in the food industry for over 20 years, writing cookery books and features as well as advising clients on healthy diet and lifestyle. Dr Michael Mosley is a British journalist, scientist, producer and TV presenter.